We can customize any of our plans! Let Sinclair Custom Homes, Inc Build Your Dream Home. 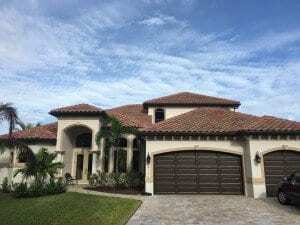 A Home builder in Florida – Matthew Sinclair provides the home builder quality you deserve and need with an over-engineered custom home built by a home builder who is actually on your job site. 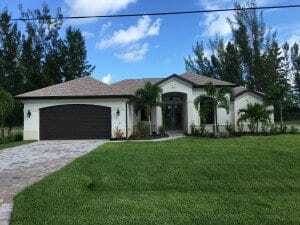 Homebuilder Matthew Sinclair can build your home on your lot in Cape Coral Florida or your choose any inventory lot Sinclair Custom Homes has to offer. When you think about hiring a custom home builder honesty, integrity, quality and experience should be the forefront determining factor. That is why Matthew Sinclair put his name on his business. He believes in good old-fashioned values that have been the cornerstone of this industry. 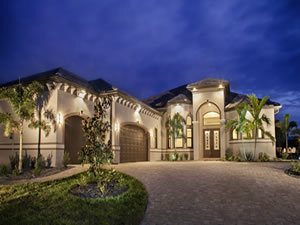 A custom home builder – Matthew Sinclair is a true masterpiece that defines the quality, luxury and European craftsmanship that can only be found by this home builder in Cape Coral. Every new custom home starts with a vision by its owner and that vision is carried through by Sinclair Custom Homes each and every time. 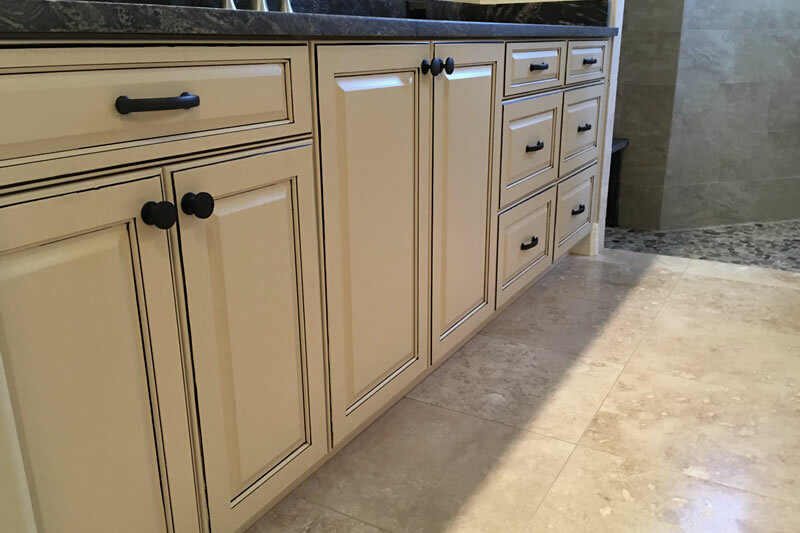 Sinclair is known for custom handcrafted real wood cabinets, real wood fine detailed trim and crown modelings, long-lasting professional paint for both interior and exterior, an eye for detail with a splash of engineering that enables you to enjoy the home and not have to work on it. We promise as a home builder in Cape Coral, Lee County, and Southwest Florida to build homes that improve the value of the local housing market. We promise to use the best available materials that are stronger and more energy efficient to lessen the burden on the environment. We promise 100% effort in helping our customers from the planning stage of your new custom home to the day you receive the keys. We promise unmatched customer service and support at Sinclair Custom Homes. Matthew Sinclair put his name on the business and it is known for outstanding quality, customer service, and integrity. Sinclair homes puts out a very well built home. The craftsmanship with which these homes are built is truly spectacular. Great detail and quality offered in every masterpiece. Beautiful homes! I can't explain enough what Matt has done to make my family's life better..he honestly has been my builder in shining armor!!! I have known Matthew for over 8 years and let me say a few things 1) He is a man of integrity 2) He builds an incredible house 3) He loves his customers. I highly recommend him and his crew. Beautiful Spacious Custom Floor Plans! !# Florida Lifestyle at it's BEST!!! Have been in our Martinique for 18 months and could not be more pleased. Matt was always and continues to be a great resource and professional to a T. You will not be disappointed in opting for one of Matts homes. Highly recommend. We were directed to Sinclair Custom Homes by divine intervention, and it has truly been a heavenly experience. Matt and his team are competent professionals that still value the customer by putting them first. Matt was always available to answer questions and to made sure the work was completed in a timely manner and to a high standard. Matt is also a man of integrity, which can sometimes be hard to find in this day and age. I highly recommend him to anyone looking for a excellent builder with a excellent attitude! If we were looking for a builder to build a home he would be our first and last phone call. 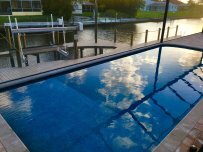 If you are looking for a reliable and reputable Contractor to build you a brand NEW HOME , Renovations, or a Pool , then you need to call Sinclair Custom Homes Inc. Matthew Sinclair has over 20 years in the building industry and has a proven track record of quality workmanship with affordability. From positive client testimonials to being a BIA award winner. I recommend Sinclair Custom Homes Inc. built by Matthew Sinclair to other real estate agents and clients alike. Deciding that you are ready to buy a new home or a resale home is the first step. The second step is finding the right qualified licensed builder in cape coral Florida. Thirdly, it is our desire you will end your search for the right home builder with Sinclair Custom Homes, Inc. by Matthew Sinclair. 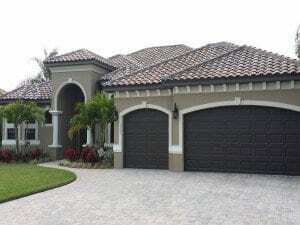 We will guide you through the custom home building process in cape coral. You will have to decide as you start to move forward in cape coral is whether you want to buy a pre-existing home or if you’d rather build a new home with Sinclair Custom Homes. While both options have their own pros and cons, there are a number of advantages to opting for new home construction in Cape Coral. Here is a look at three major benefits of building a new home with home builder Matthew Sinclair. 1. Potential for Customization – Perhaps the number one reason why potential buyers opt to build a new house instead of buying a resale is the fact that they can customize a new home and really make it their own. Builders have a list of floor plans already drawn up so that you won’t feel like you have to start from square one, but many elements of these plans can be altered to fit your specific needs and desires. 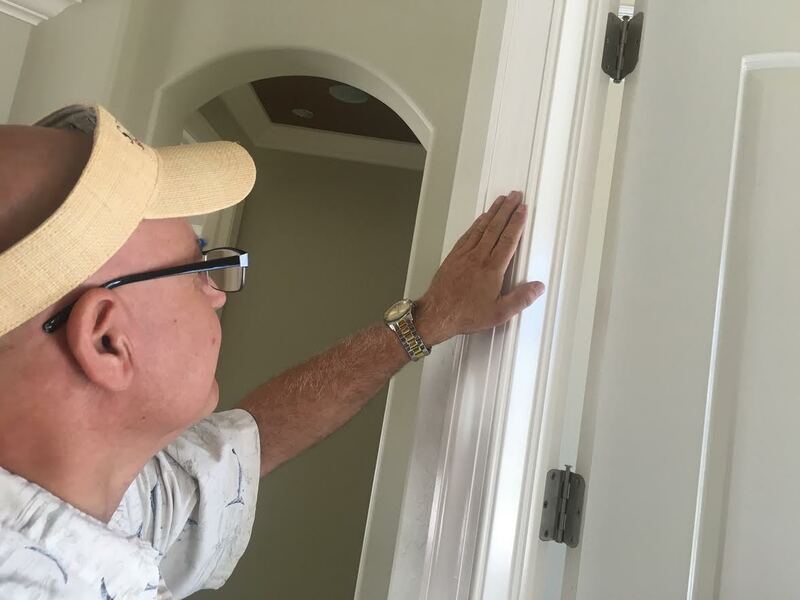 The advantage of using a custom home builder in Cape Coral is the fact that nothing is set in stone (literally or figuratively) before you buy, so you will never feel like you are getting “stuck” with design features that you don’t like. Preexisting homes are always going to have flaws–ranging from minor aesthetic issues to major inconveniences–but new construction allows you to have input long before any walls start to go up. As a result, you can do everything possible to design a true dream home that takes into consideration all your personal preferences and brings the house you have imagined to life. 2. Improved Energy Efficiency – Homes built decades ago were constructed, by and large, without any concern for energy efficiency. When you think about the perfect house today, however, one major consideration is the way that it can save you money on your electric bills while minimizing your negative impact on the environment. Luckily, there have been major advancements in building technology over the last several years, which can significantly reduce the amount of energy needed to heat, cool, and light your home. Building codes are much stricter today than they were in the past, so your builder will have already worked out ways to make your new house more efficient. These options can also be customized further with the installation of certain green appliances and other features that you can talk about while you perfect your home design. 3. Avoid Costly Renovations – It’s true that you will likely have to wait longer for new construction to be move-in ready than if you bought a home that was already finished. What you might not consider, however, is the fact that almost every home purchased via resale requires renovations–which can be run the gamut from minor tweaks to major overhauls. Often, simply getting an older house up to code requires an investment of thousands of dollars. If a home needs a new roof or has foundation issues, then that potential cost grows exponentially. Many homeowners also buy via resale with plans to completely redo dated bathrooms and kitchens, which can also make your investment of time and money go up in a major way. When you work with a home builder in Cape Coral, Florida, however, you won’t need to worry about renovations. All materials will be in excellent condition when they are first installed, and your rooms will have already been designed just the way you want them. Once your custom home has been erected, it will truly be your dream home from day one and won’t require any extra investment to make it fit your preferences. 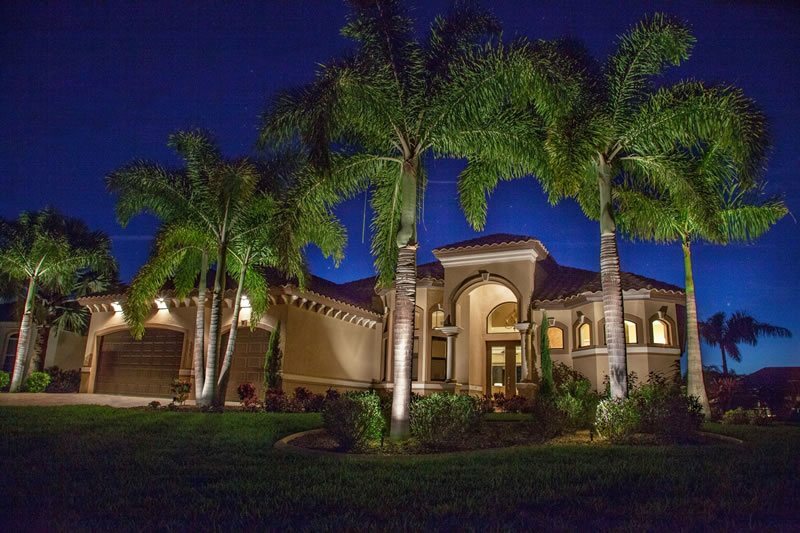 Sinclair Custom Homes is a premier home builder in Cape Coral. Builder Matthew Sinclair has more than 20 years of experience designing and building custom homes, and he has a great reputation in Florida. 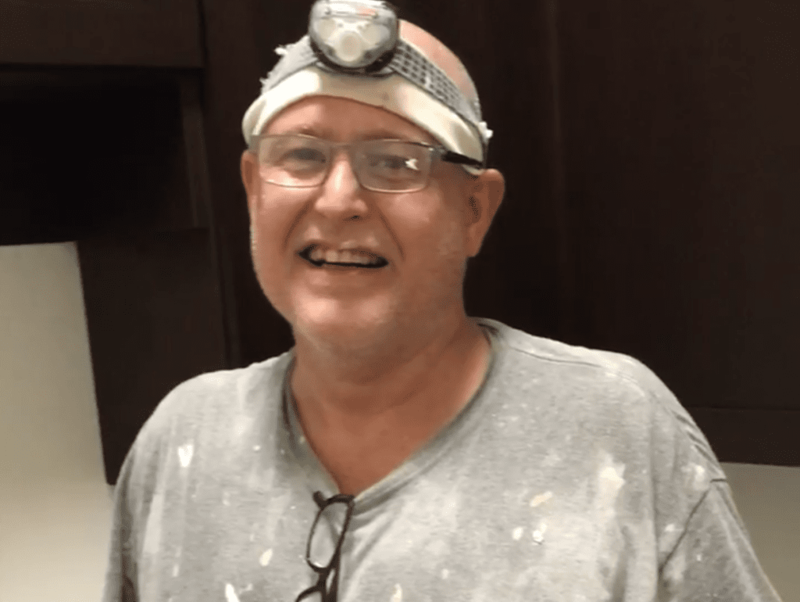 Matt loves Crown molding and its rich look and he likes to add Crown Molding per plan. Sinclair is able to build on your own Florida lot or He can help you find a cape coral lot to buy, so you’ll have no problem securing the perfect location for your new custom home by Custom Home builder Matthew Sinclair. Cape Coral is situated along the beautiful Caloosahatchee River and is home to a number of recreational parks, golf courses, and the Sun Splash Water Park. You’ll also be within easy driving distance to beautiful sandy beaches featuring a variety of local wildlife. So you have your own lot and want us to build on it? No Problem! We can build on any standard 80×120 or larger! 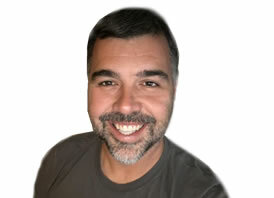 Matthew Sinclair has 15 years experience in Commercial building, renovations, build-outs and supervision. He has consulted many local Southwest Florida companies in their commercial build out projects. During the recession period of 2007-2009 you could find Matthew Sinclair renovating homes and helping customers save money on their renovation work. He deals with honesty and integrity in each quoted job he does and is always looking out for his customers wants and needs along with their budget. There’s a reason why so many families are investing in property development in the Cape Coral area: it’s a family-friendly city with several educational opportunities, it has one of the lowest crime rates in Florida, and it is a diverse community with a low cost of living while still offering a high-quality life for its residents. Creating a custom home with a custom builder is akin to hiring a tailor – you’ll be able to control almost every aspect of the home, from its foundation, to the type of the walls and woods employed during its construction, and extending the ability to customize interior and exterior spaces. We work closely with Cape Coral’s design review committees to ensure that your home design is built to highest statandard and meets or exceeds code. Sinclair Custom Homes has served prospective and current residents to create beautiful homes that follow presets and plans approved by the homeowner, truly underlining the significance of customization. Tract homes are usually owned by developers and used to divide a large plot into smaller plots to build stock homes. Usually, these homes do not offer the opportunity for customization, as volume takes precedent to any customization efforts. Tract homes do not allow for creative expression. Oftentimes tract homes in the Cape Coral are identical, with only a few lots offering very little differentiation between the houses. A custom-built home allows room for inventive homeowners. Tract homes sometimes compromise on quality. The price point is one of the main aspects of a tract home. Albeit more expensive, a custom home offers an opportunity for luxury and creating a space exactly how you envisioned it. Considering a custom home builder is a viable opportunity for those who want a custom floor plan, for those who are planning to purchase a plot of land or want to build on established property, or those who finally want to see their blueprints and floor plans come to life. With a Sinclair custom home, you can be as involved as you want during the decision-making process. Within your budget, you can pick options from almost every product and category and be assured that your home is over-engineered to last decades! One of the good news when it comes to custom homes is that the options and choices are almost limitless, with the only restriction is Cape Coral’s building codes and zoning limitations. However, Sinclair Custom Home builders have a number of available lots, streamlining the zoning process. Sinclair custom home builders also work with current lots, placing any one of your custom built designs right on it. There are tax benefits associated with your custom-built, Cape Coral home. One of the benefits that Cape Coral residents enjoy is the several tax deductions and credits associated with their new home. High resale value. Tract homes are stock homes – their resale value is much lower than a home that has been custom-built. Your investment is guaranteed to hold its high value. 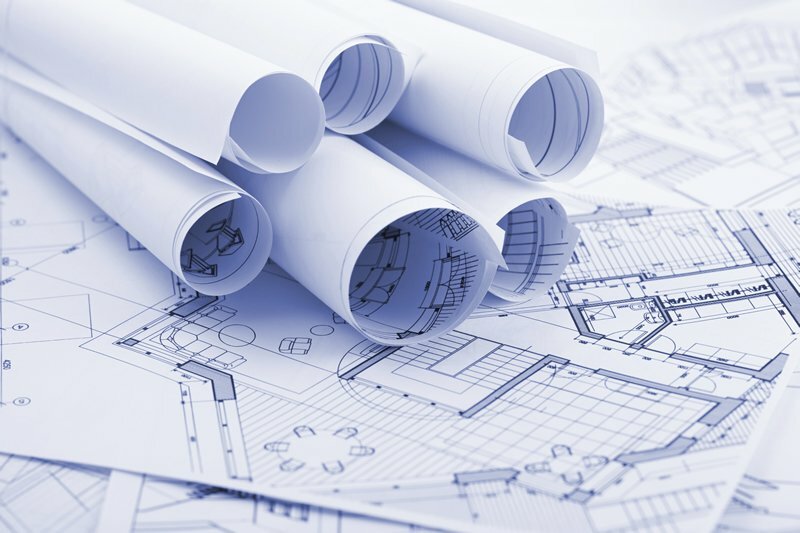 Your custom home blueprint stays with you. Sinclair Custom Homes works closely with their customers to anticipate future wants and needs. We have found that our customers want to add on to their custom home. 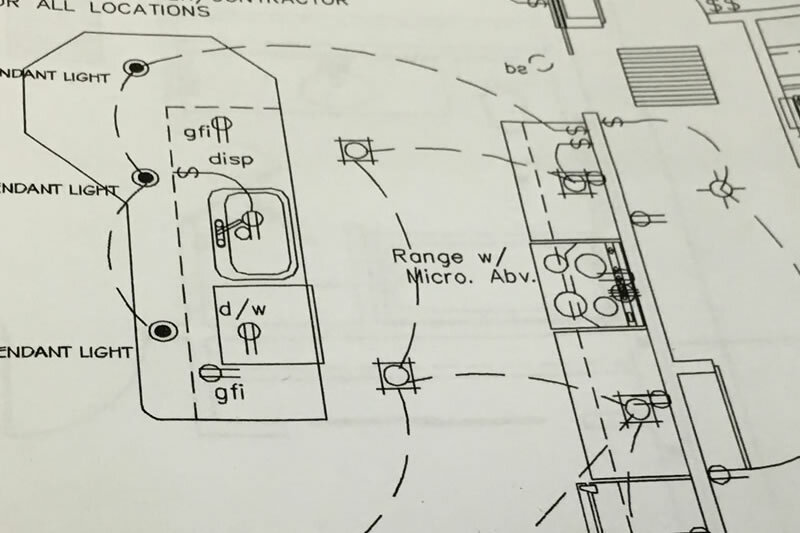 Since Sinclair has a copy of their unique blueprints, they are cognizant of what is needed to ensure that future renovations and add-ons won’t compromising the structural integrity of the custom built home. Have your own Custom Home Floor Plan? If you are in the market for a new home, you have three basic choices. You can choose from the ample supply of existing homes, taking on the responsibility of their maintenance and any future problems. You can buy a newly constructed home, settling for the vision of the builder and adapting your own needs to the property in question. Or, you can build your own custom home, spelling out every detail, from the layout of the rooms to the height of the ceilings in the foyer. Building your own custom home may not be as difficult as you might think. If you know what to look for and how to proceed, you could soon be enjoying the home of your dreams. Instead of compromising your vision for that of the builder or architect, you could set the ground rules and make your own decisions every step of the way. Here are some key things you need to know, and some important steps you need to take when building your own custom home. Knowing what to expect is critical when building your own custom home. Many buyers go into the process unprepared and not knowing what to expect, and it is this lack of preparation, not the custom build process itself, that makes the process fail. Here are the essential steps you will need to go through to transform your dreams of a custom home into a wonderful reality. Working with an experienced custom home builder can make the process easier and speed your way to the home of your dreams. Find and purchase a suitable lot. This is an essential first step, and it is one Sinclair Realty Inc. can help you with. We are your Cape Coral, Florida experts, and we can help you find the right piece of land to start your custom home building project. Obtain a construction loan. Since the home in question has not yet been built, you will need to obtain a construction loan instead of a mortgage;. Once again, Sinclair Realty can help you get the financing you need. We can provide you with a list of local banks, so you can get your construction loan and start the building process. Enter into the contract. Once the construction loan is in place, you will enter into a contract with the builder. You can expect to put down a deposit of $5,000 to $10,000, depending on the size of the home and the complexity of the project. In some cases, you may be asked for a deposit of 10% down, but the exact amount will vary. The next step is to set up a draw schedule. That draw schedule will be set by the builder and the financial institution, and it will establish the schedule by which funds will be drawn to complete the project. The engineering and architectural process comes next. During this process, the buyer and the builder will work together to create the floor plan. A good builder will provide buyers with a variety of different floor plans, along with options for further customization. In most cases, your builder will allow you to make up to four revisions, so you can adjust the project as it moves along. If the project is a particularly large or complex one, your builder may allow more, or even unlimited, revisions to the scope. In either case, you should work out these details with the builder. Once the revisions have been agreed upon and the plans have been approved, you will be asked to sign off on the project. Building can begin after your signed approval has been received. The package will go for permitting next. The time this process will take depends on a number of factors, including where you live and the number of other new construction projects in the area. Permit approval is the next step. Once again, the time to receive this approval will vary, but an experienced builder can often help it go more quickly. As Cape Coral, Florida experts, Sinclair Realty Inc. can work with local authorities to get your custom home project approved as quickly as possible. Once the building permit has been approved, it is time to clear the lot and prepare for construction. By this time, the seawall will already have been installed, making way for a smoother construction process. The next and final step to building your custom home involves laying the block foundation. Building the foundation is the vital first step, and once the foundation is in and the concrete has been poured, the construction will begin in earnest. Before you know it, you will be spending your first night in your new custom home and wondering why you ever thought about compromising. As you can see, the process of building your own custom home is not as difficult or as complicated as you thought. 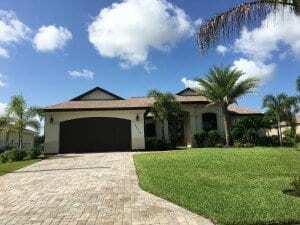 Sinclair Custom Homes can help you every step of the way, from finding the right lot in Cape Coral Florida to helping you get the construction loan you need to finance your dreams. “Matthew’s wife & boss” lol. St. Croix model). I would strongly recommend them to anyone who is looking for a builder. The many standard features in Matt’s homes, which would be options with another builder, made our home a great value for our dollar. Matt’s unwavering commitment to quality was evident throughout the process. The various subs that we worked with were tremendous and shared Matt’s vision of excellence. We are excited for Matt that his peers recognized Sinclair Custom Homes as 2016 Builder of the year for CCCIA! Truly a well deserved honor. Have been in our Martinique for 18 months and could not be more pleased. Matt was always and continues to be a great resource and professional to a T. You will not be disappointed in opting for one of Matts’ homes. Highly recommend. I can’t explain enough what Matt has done to make my family’s life better..he honestly has been my builder in shining armor!! !